Mexico is hitting back in the escalating trade conflict between the US and the rest of the world. The US’s neighbour to the south plans to levy 20% tariffs on the import of pork shoulders and legs. Last week, the Trump administration moved forward with tariffs on steel and aluminium imports from three key US allies, including Mexico. Mexican authorities are ready to hit back against the tariffs imposed on the country by the Trump administration, and they are preparing to impose significant levies on the import of pork products from the US. Reuters reports that Mexico plans to place a 20% tariff on pork legs and shoulders from US suppliers. Those two cuts account for about 90% of the country’s $US1.07 billion annual imports of pork from the US. 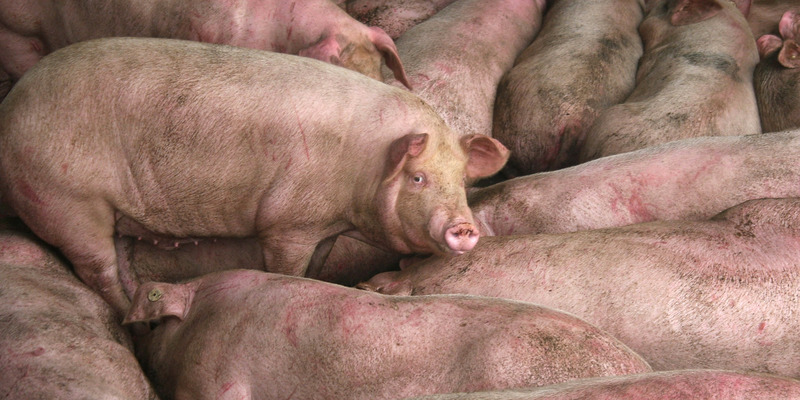 “It’s a 20% [tariff] on legs and shoulders, fresh and frozen … with bones and without bones,” Heriberto Hernandez, the president of Mexico’s leading pork-producers association, Oporpa, said, according to Reuters. Pork legs and shoulders are not as highly valued in the US, where ribs and bacon are in greater demand, but in Mexico they are used to make some of the country’s most popular dishes, including tacos al pastor and carnitas. The proposed tariffs, which could come into effect as soon as Wednesday, are a response to tariffs imposed by the Trump administration last week on not just Mexico but also Canada and the European Union. On Thursday, President Donald Trump announced that the three key allies would no longer be exempt from US tariffs on steel and aluminium imports. Trump’s rationale behind imposing tariffs is to attempt to focus more business and manufacturing in the US by making importing goods prohibitively expensive. Mexico last week said it would impose “equivalent measures” on other US products including flat steel, lamps, sausages and food preparations, apples, grapes, blueberries, and various cheeses. “Mexico profoundly regrets and condemns the decision by the United States to impose these tariffs on imports of steel and aluminium from Mexico,” a statement from the country’s economy minister said on Thursday.